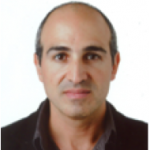 Hernán Míguez is Research Professor of the Spanish Research Council (CSIC) and holder of an ERC Consolidator Grant. He received his PhD at the Autonomous University of Madrid in 2000. He worked as a postdoc in the University of Toronto until 2002, after which he was appointed as honorary professor of the Chemistry Department. Since 2004, he holds a permanent position in CSIC and leads the group of Multifunctional Optical Materials (http://mom.icmse.csic.es) in the Institute of Materials Science of Seville. His group’s activities are devoted to the development, characterization and modeling of new photonic architectures for applications in different fields, such as photovoltaics, sensing, or radiation protection. He is author of more than 160 peer-reviewed publications, inventor of 20 internationalized patents, and numerous scientific presentations, including more than 30 invited lectures in International Symposia as well as in Industry and Research Centres. He has leaded numerous research projects financed by both national and international programs as well as by privately owned companies. His patents leaded to the founding of a two technology based companies, the Canadian Opalux, devoted to the development of tuneable photonic displays, and the Swedish Exeger, focused on the integration of photonic crystals in solar cells to achieve boost the light harvesting efficiency. Prof. Míguez conducted a research stay as Visiting Fellow at Macquarie University, Australia. He received the Award for best research group awarded by the city of Seville (2013) and, more recently, the “Real Sociedad Española de Física-Fundación BBVA 2017” Prize in the modality of “Physics, Innovation and Technology”.